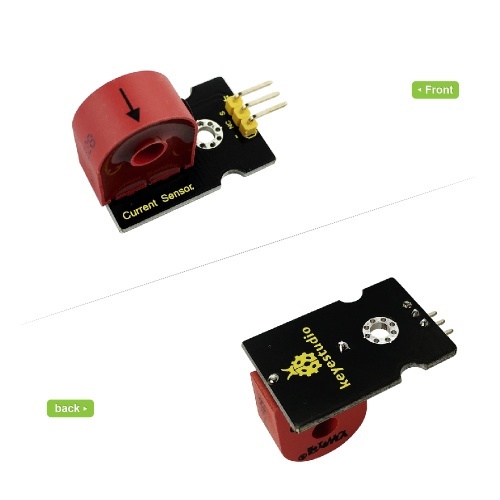 Keyestudio current detection sensor is mainly composed of a current sensor TA12-200, which can convert large current into a small amplitude of voltage output. This product can be applied to detect AC current, and its maximum detectable current is up to 5A. 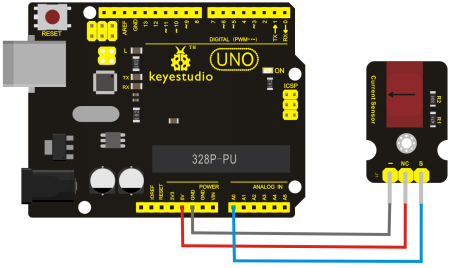 Current sensor can be used in a variety of microcontroller, especially on the Arduino controller, which can be connected to the Arduino dedicated sensor expansion board with the 3P sensor cable. It can easily achieve interactive works related to environmental awareness. Used for electrical load remote monitoring; as an electronic control system of input signals; lack of phase indication, power measurement; motor running state monitoring. 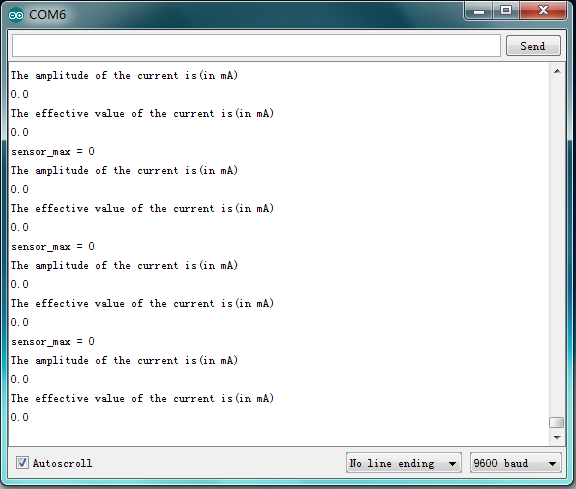 Done as the above wiring, upload the code, and then open the serial monitor, the magnitude of current is shown (not connected to the current), as the figure below.